If you would like a golf cruise holiday on some of the world’s great waterways and get to stop off and play golf these cruises are perfect. 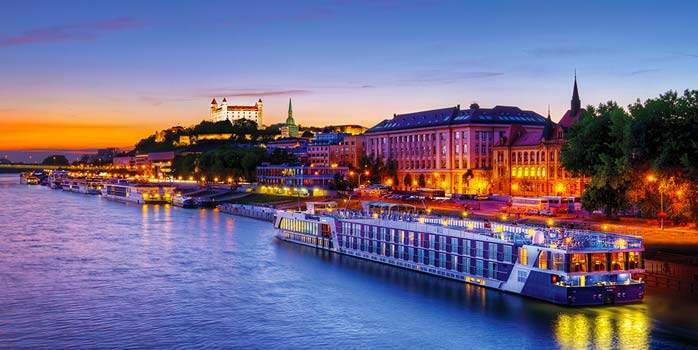 AmaWaterways ships are rated as the best on Europe’s Rivers and beyond, and they certainly earn this rating. We are working with them to provide a wide range of golf cruises from European golf cruises down the Danube to exotic golf cruises down the Mekong. The staff, the food and the experience is simply excellent, relaxing and fun. We recommend taking a stateroom with a balcony to get the most out of the experience. Gourmet food and wine await your culinary delight on these amazing ships. We can easily add flights plus pre or post cruise extensions, let us help you with a wonderful golfing cruise tailored to suit your needs. Our ground handlers will take care of all the mundane aspects of organising tee times, transportation, club cleaning and so on. All you need to do is show up and enjoy spectacular golf, eat gourmet food and have a fantastic vacation. You will be picked up from the Hotel at your starting point, be it in Budapest or Prague, and then all along the route, picked up and delivered back to the ship so that your golfing holiday is seamless. Everything will have been arranged in advance for you – your tee time, practice balls for your warm up and your pull trolleys. After your round, you will enjoy lunch in the clubhouse while your clubs are cleaned by the staff. 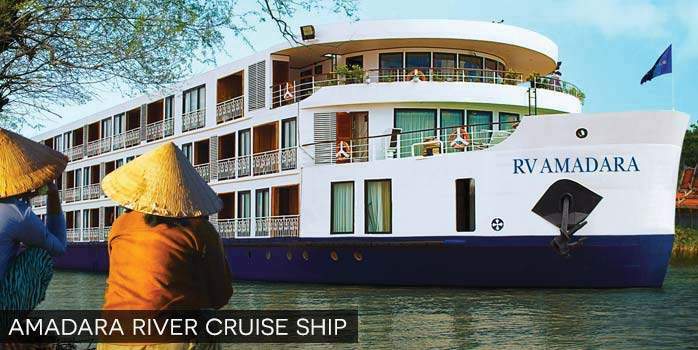 You are then returned to your luxury river cruise ship, even if it has moved on to its next stop. 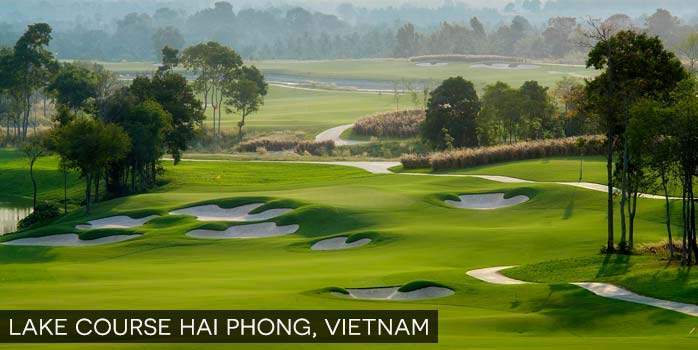 Vietnam Golf & Country Club is the first 36-hole golf club in Vietnam and is widely regarded as Vietnam’s Premier Golf and Country Club. Located just 20 kilometres from the centre of Ho Chi Minh City, Vietnam Golf and Country Club is also the nearest golf club to the city. 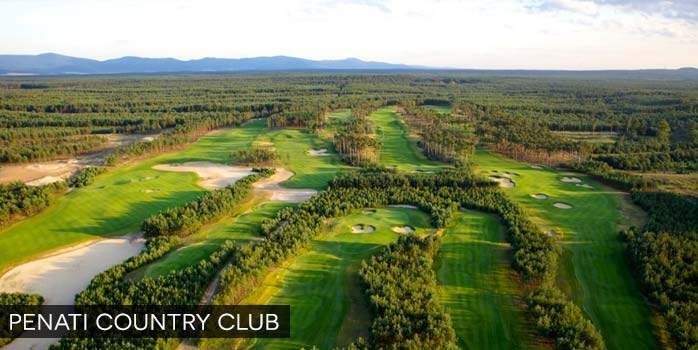 Set amongst 300 hectares of land, two great golf courses have been carved out of the existing woodland with minimal land movement, leaving you feel that the land was always destined to be a golf course, so natural is the lay-out and design. Lee Trevino, six-time Major Champion Winner (US Open 1968,1971, USPGA Championship 1974, 1984 and The Open Championship 1971 and 1972), designed the East Course which opened in September 1997. 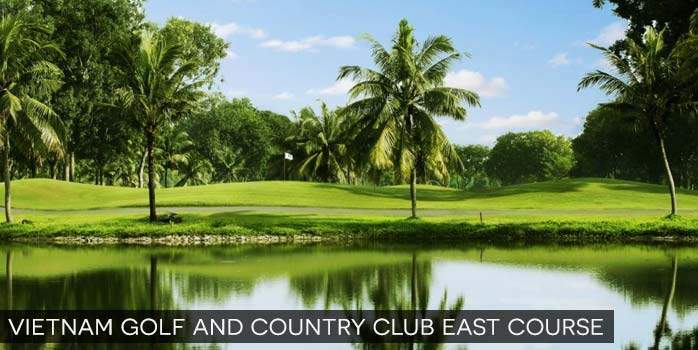 The East Course offers more generous fairways than the West Course but is protected by well positioned bunkers, water hazards and undulating Bermuda greens. The beauty of Cambodia lies in the richness of its traditions. The elegance of golf comes from its strategy, honor and skills. At Angkor Golf Resort these essential characteristics are combined… and a unique tradition begins at one of the world’s great new golf destinations. 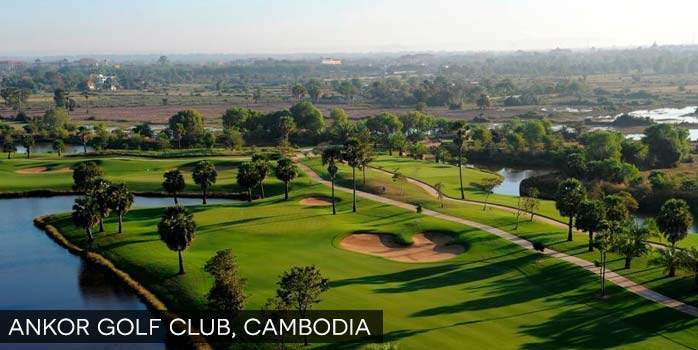 Angkor Golf Resort, provides all level of golfers a challenging and fair test of golf. The par 72, 7279 yard championship course has seashore paspallum grass throughout the course allowing for an exceptional playing surface and enjoyable round. Practice facilities include a 300 yards driving range, with target greens and practice putting green and chipping area. 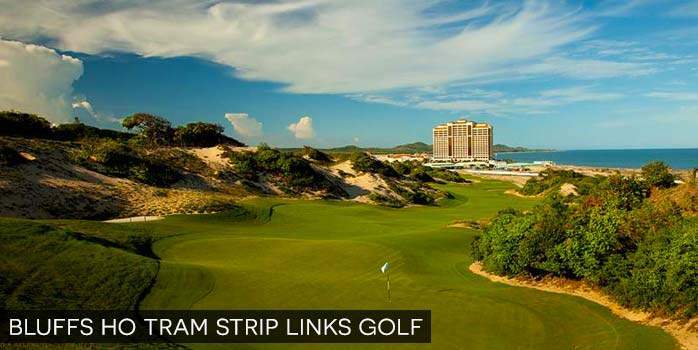 Vinpearl Golf Hai Phong is situated in the heart of the beautiful island of Vu Yen, located just off the city of Hai Phong – the third largest city in Vietnam and northern Vietnam’s most important seaport, positioned 120 km from Hanoi. Set amid the 872 hectares of Vingroup’s Vu Yen Island Ecotourism Area and crisscrossed by three rivers, in addition to the 36-hole championship golf course, the island features eco-villas, an ecological park, amusement complex and a cable car system stretching 1.5 kilometres to link the mainland and the Island. Designed by IMG Worldwide, the 36-hole championship golf course features two distinct courses “Lakeside” and “Marshland”, challenging players of all levels. Lakeside, a scenic resort-style course with a plethora of interconnected lakes, coming into play on 12 holes with generous fairways and large undulating greens. Marshland, a shot-makers golf course specifically designed to be in harmony with the carefully preserved open wetlands, has been established with a different character to complement its companion. The Sky Course is the work of Bori Golf Design Ltd and lead designer Mr. Ahn Moon Hwan. The natural beauty of the landscape has been used to create continuity and consistency throughout the design. Subtle use of different elevations and aspects create a true and honest test of golf. 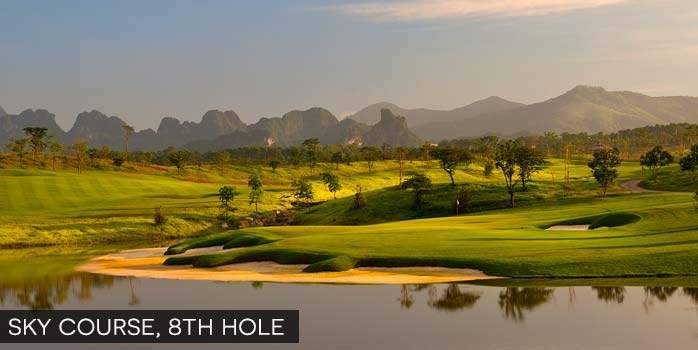 The signature hole of the Sky course is the 15th, aptly named Dien Bien Phu (a historic vietnamese battle) due to it’s topography and difficulty.This hole is a true risk and reward experience that promises to become one of the more famous holes in the region. 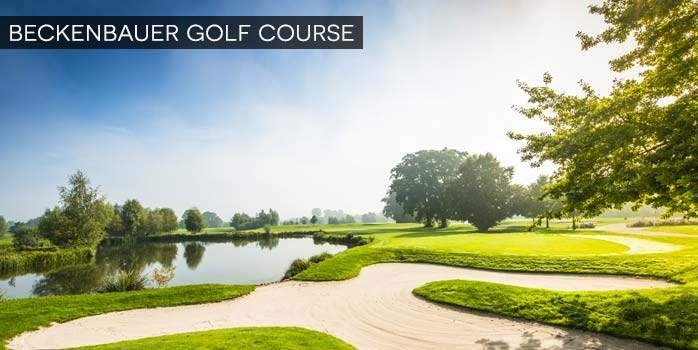 Regal golfing pleasure on lush greens and perfect fairways – this championship course, created by former Masters champion Bernhard Langer, seems to be one with the meadow landscape surrounding the small river Rott and was awarded a “world class” rating within one year of opening. The 18 holes in Penning, right beside the Audi Golf Course, do indeed pack a punch. They don’t hold back when it comes to challenges, but also offer sufficient opportunities for some serious success. What makes this golf course so special is the quality of the hand-mown greens and fairways, which remain tip-top even during the summer thanks to a double-row irrigation season. 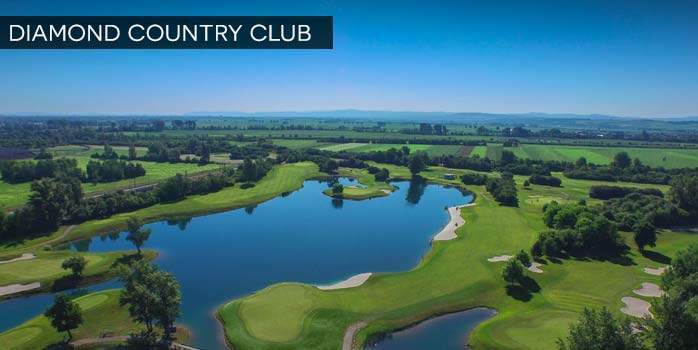 This Championship course, host of the Lyoness Open, on the outskirts of Vienna, challenges every player’s ability, thanks to the need for good course management and that important element of water. The 8th hole was designed by the legendary Miguel Angel Jimenez and really emulates the iconic Spaniard. Experience the European Tour standard which allows for precise shots in challenging settings, far from those packed fairways. The trim cut grass and perfectly kept greens allow for the best games of golf, surrounded by beautiful and fair water hazards. This 18-hole golf course has been built according to plans authored by Nicklaus Design, one of the world’s leading design firms. The Nicklaus Design LEGEND COURSE complies with USGA standards at the world PGA level. 60% of the world’s golf courses which host PGA tournaments have been designed by Nicklaus Design. Along with many other scenic features, this course counts the longest hole in Europe among its challenges. The 787 Yard par 6 15th hole awaits golf enthusiasts, offering 11 tees. The view alone is fascinating. 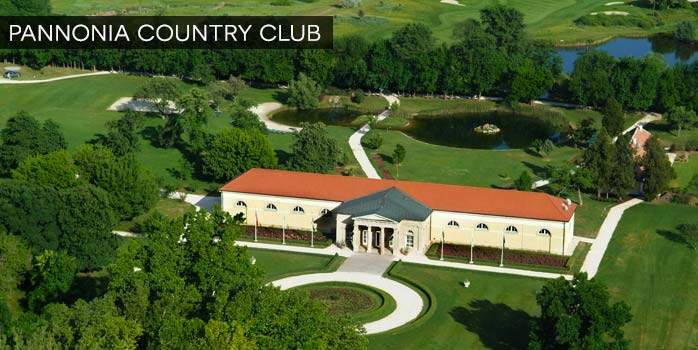 The 18-hole golf course of Pannonia Golf & Country Club was designed by the famous Austrian course designer Hans G. Erhardt. The golf course lies in a valley so the varied forms of its fairways provide a great golf experience. Lakes come into play at 8 holes and pin placements may also present a challenge at the hilly greens. With 6 different tee-boxes, both beginners and advanced players can get a true and fair idea of their golf skills. The natural environment and the beautiful, carefully maintained course inspires golf players to hit great shots. 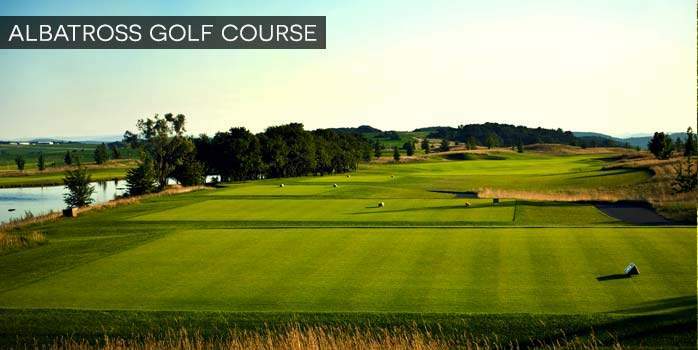 Erhardt also designed the Golf course Fontana, host of the Austrian Open for many years and believes that Pannonia is still the best course in Hungary.